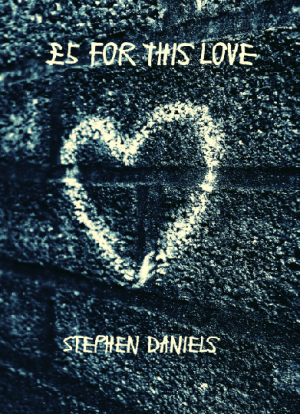 I’ve enjoyed reading Stephen Daniels’ poems whenever they’ve popped up in magazines and on websites, including a couple that I published on Clear Poetry, so I was delighted to hear that he’d teamed up with the excellent V. Poetry to publish this, his debut pamphlet. Like V. Press’ other publications, it’s beautifully designed. The bright orange cover is instantly eye-catching, and is amber used as a warning of some kind? The cover image too is thoughtful and memorable – an idealised couple where the man is scratched out.